Malaysian investment seminar "Business Opportunities in Malaysia" will be held at Lotte Hotel in Sogong-dong downtown Seoul on July 16 (Monday), 2012, the Malaysian Embassy in Seoul announced on July 12, 2012. The embassy said that the local Korean businesses would be welcome to attend the Malaysian seminar for investment and business opportunities. 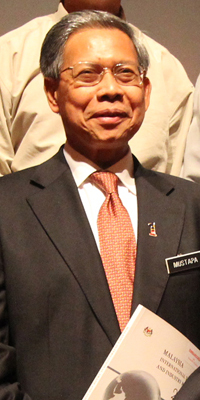 Dato' Sri Mustapa Bin Mohamed, Malaysian minister of international trade and industry, will participate in the seminar. Other Malaysian government officials and Malaysian businesspeople will also join the seminar. The seminar will be co-hosted by Malaysia’s Ministry of International Trade and Industry (MIDA) and Malaysia External Trade Development Corporation (Matrade), the national export promotion agency of Malaysia. The seminar will starts at 9 a.m. on the day with registration to be followed by opening speech by the seminar chairman, a keynote speech by Dato' Sri Mustapa Bin Mohamed, presentations of business cases by invited lecturers, questions and answers, small group meetings. After the luncheon individual business meetings will take place between the Malaysian business delegations and the local Korean businesspeople.